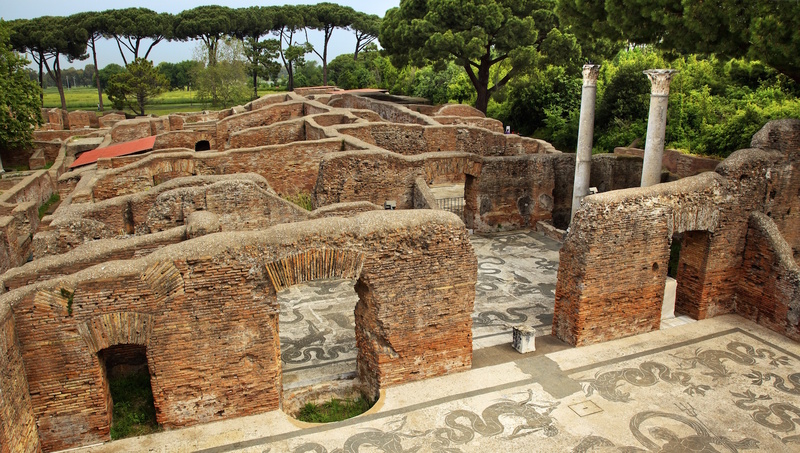 Located just on the outskirts of Rome, Ostia is the birthplace of the Roman Republic, located on the Tiber river. 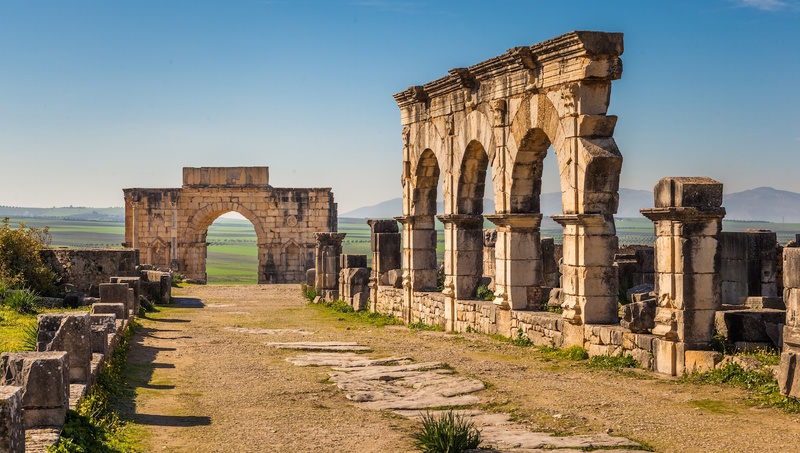 It's an essential visit for ancient history buffs! Commencing at the Porta Romana, this was the main pedestrian walkway going through the town. 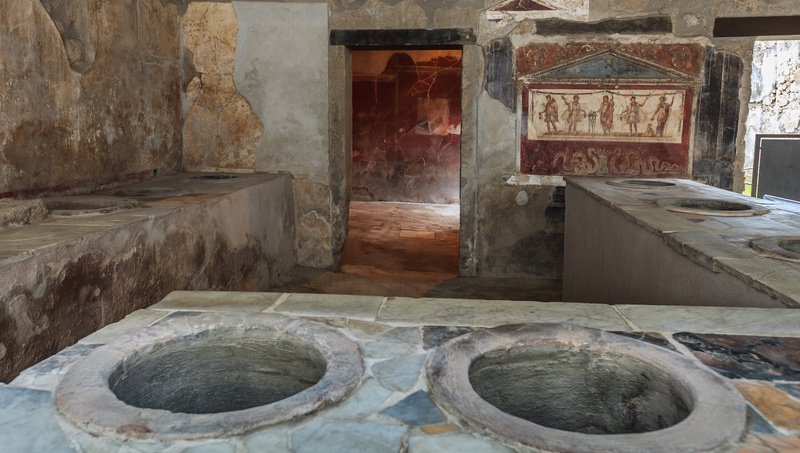 These baths contain intricate mosaics portraying god of the sea, Neptune, as well as some of the earliest Christian graffiti in the Roman Empire. Agrippa was the right-hand man of Emperor Augustus. He commissioned this theater, completed in AD 196, which had 21 rows of seats for the public plus VIP areas. Excavated during the First World War, this is possibly one of the first bars in Western civilization. Take a look at the ancient graffiti and paintings! Do you need to cool off after your time spent exploring the ruins, or do you simply want to learn more? This museum and gift shop is waiting at the end of your walk. You'll be spending most of your time outside, so it's important to stay safe in the sun with sunscreen and a hat. Drink lots of water too! It can get warm in Italy even in the fall months. Like other sciences, archeology is never over - there are new developments going on all the time, so keep up to date on the website if you are fascinated by the latest findings from days gone by! 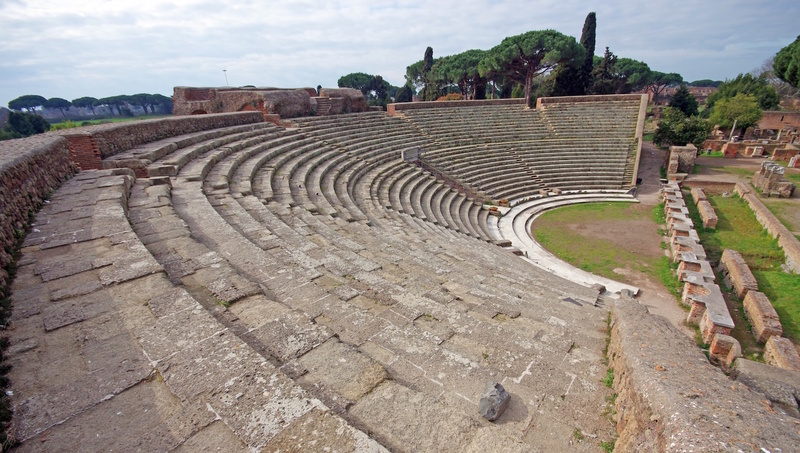 Ostia Antica is perhaps best experienced as a group - and with a guided tour in your language so that everyone's on the same page. 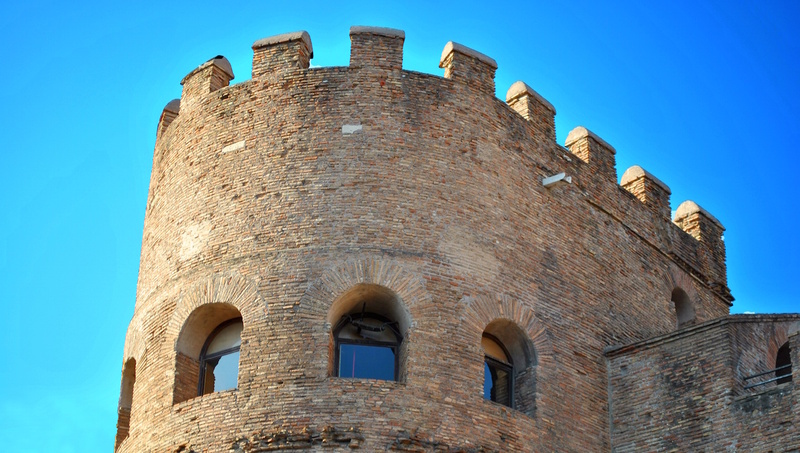 Although in relatively close proximity to Rome, you should still set aside a day to visit Ostia and not rush seeing this historic spot. Open 8:30AM. Closing times vary throughout the year and must enter an hour before closing. This ancient site is best explored with a guided tour to point out the history and give you a feel for the daily life of the people that once called this spot home. Take Metro B and switch to Roma-Lido train at Piramide Station. Get off at Ostia Antica station. Cross over the blue bridge and walk straight until you reach the entrance. Great spot to escape the crowds in Rome. These are one of the few ruins you can this up-close! Free entrance on the first Sunday of each month!